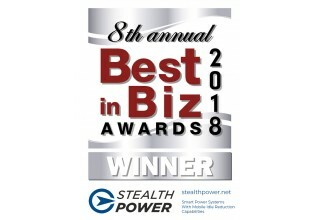 AUSTIN, Texas, December 6, 2018	(Newswire.com) - Stealth Power is proud to announce that it has been named a gold winner in the "Company of the Year - South U.S." category and a silver winner in the "Small Company of the Year" category in the eighth annual Best in Biz Awards. 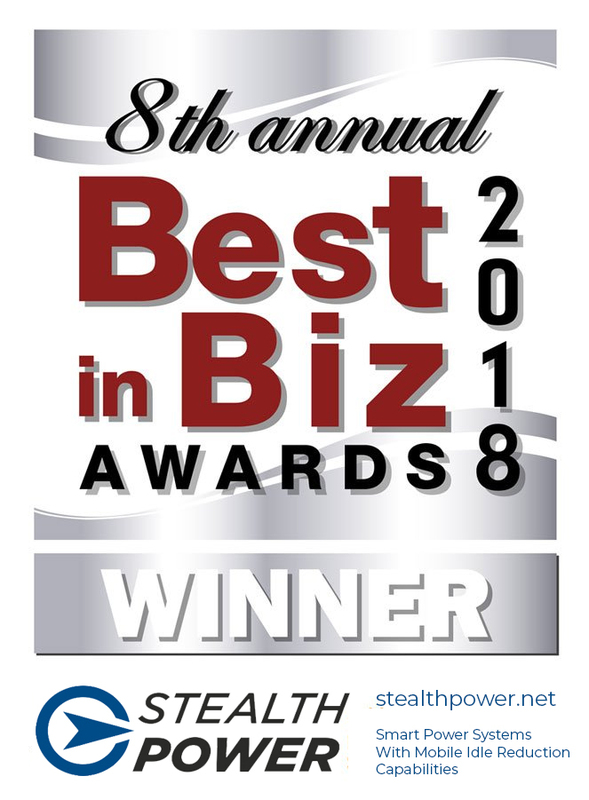 Best in Biz Awards is the only business awards program judged by independent panels of prominent writers and editors from top-tier publications. Stealth Power is a leader in mobile power and idle-reduction technology. Stealth Power's smart mobile power systems can be used for fleets seeking mobile auxiliary power or idle-reduction solutions, or for organizations seeking wireless, remote or hybrid generator power. These systems have prevented the release of thousands of tons of hazardous emissions into the atmosphere and preserved millions of gallons of fuel - as well as millions of dollars - for Stealth Power's clients. 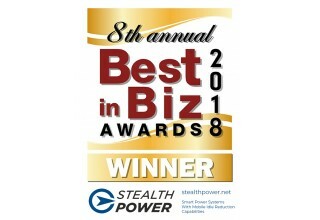 "Stealth Power is committed to delivering effective and efficient energy solutions to our customers," said Bill Needles, Director of Sales for Stealth Power. 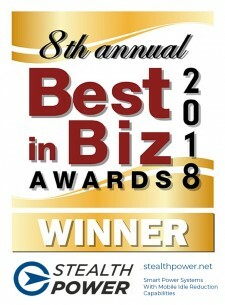 "We are thrilled to be recognized this year by Best of Biz Awards for our high-quality products. This win underscores our company's dedication to manufacturing superior mobile power products and providing superb customer service." 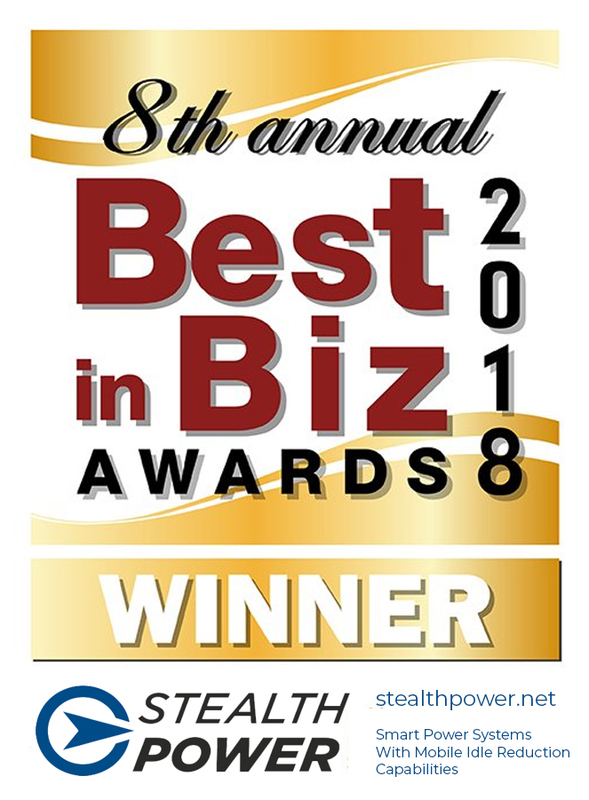 For a full list of gold, silver, and bronze winners in this year's Best in Biz Awards, visit: http://www.bestinbizawards.com/2018-winners. To find out more about Stealth Power's mobile power and idle-reduction technology, click here.